A coming-of-age drama-comedy, Lady Bird is a poignant and irresistible exploration of the awkward transformation into adulthood, with two tremendous central performances. Sacramento, 2002. Christine McPherson (Saoirse Ronan) is in her final year of high school and struggling to define herself while navigating a tumultuous relationship with her mother Marion (Laurie Metcalf), who is perpetually stressed about money. Christine insists that she be called Lady Bird, while at her Catholic school she carries the burden of coming from a poor family and has a limited number of friends, including Julie (Beanie Feldstein). Determined to escape from Sacramento and seek a college education at a respectable east coast university, Christine has to face the reality that money is tight, her father Larry (Tracy Letts) is unemployed, and her grades are not quite good enough. She joins the drama club and finds her first boyfriend in Danny (Lucas Hedges). She also tries to fit in with a new set of friends, including rich girl Jenna (Odeya Rush) and cool band member Kyle (Timothée Chalamet), but growing up and striking out will not come easy. Written and directed by Greta Gerwig, Lady Bird is a tender look at the mother-daughter relationship during the clumsy final steps on the journey from girl to woman. 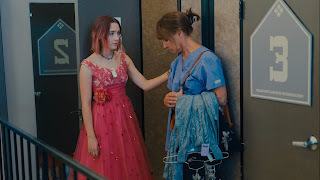 Gerwig infuses her film with plenty of humour while holding irony firmly in check, Lady Bird avoiding smart-alecky moments and just focusing on the small tears and joys that naturally flow through family life. The film is energetically edited by Nick Houy, some scenes lasting for just a few seconds, the pace conveying the blurry commotion of life's hectic high school chapter drawing to a close. The film contains plenty of painfully real moments that dance between the playfulness and agony of a teenager exhibiting childlike behaviour in the service of budding adulthood. Christine is embarrassed by her family, her relative poverty and her city, and is beginning to find the tools of independence to help influence major life-altering decisions. At the same time, the final stages of high school carry less fear of disciplinary consequences, and Christine and her friends let loose. Previously hidden antics bubble to the surface, none more entertaining than Christine finding her voice during an anti-abortion lecture. She also participates in a prank involving the head nun as revenge for years of institutionalized paternalism. But when Christine engineers the disappearance of a crucial math course grading book in a too-smart attempt to get into better colleges, the math teacher calls out her honour. The flash on Christine's face, brilliantly captured by Ronan, is the responsible adult starting to push aside the unaccountable child. Away from the high jinx, Gerwig's story is about a mother who has sacrificed everything to make her family financially viable, and along the way forgot that expressed compassion and words of encouragement are more important than a tidy bedroom. 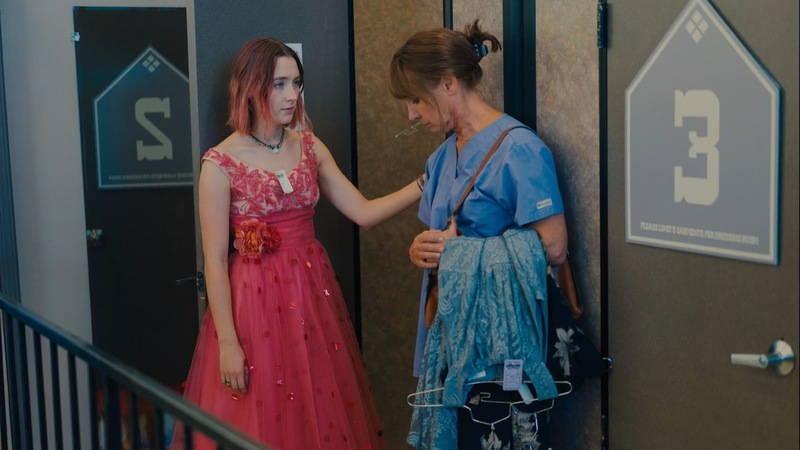 The film's sustained emotional intelligence resides in Lady Bird being aware of how much her mother loves her, despite the continuous barrage of incoming grief. Christine can sometimes handle the turmoil, but is also forced to invest plenty of time navigating around Marion's hardened emotions. Gerwig needed two strong central performances to make the film work, and gets them from Saoirse Ronan and Laurie Metcalf. Ronan at 23 can still convincingly pull off 17, and plays Christine with the delicious slyness of a teenager beginning to believe she can outsmart the world of adults. Metcalf delivers a career defining role, conveying the harried life of a mother measuring life in dollars and cents, and yet somewhere deep in her heart still harbouring a deep if complicated love for her daughter. 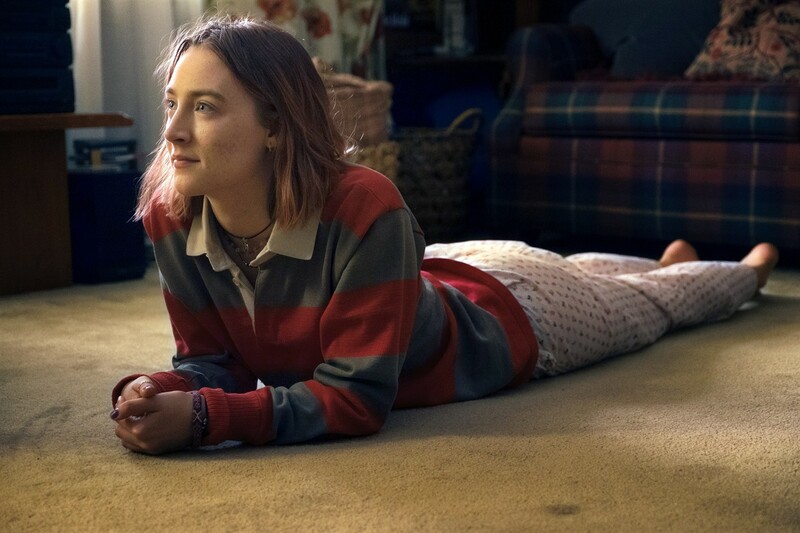 Lady Bird glows with warm authenticity, the universal story of a fledgling adult seeking to fly away from a nest that will only start to look cozy from a distance.